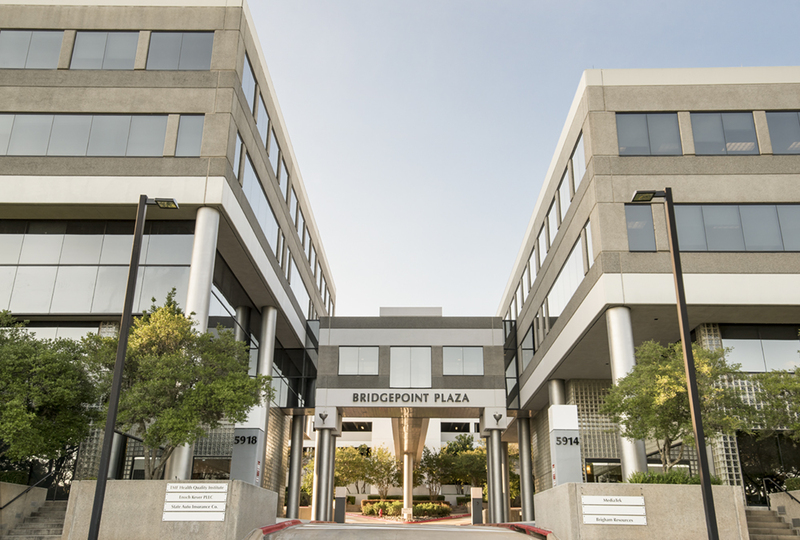 I had the pleasant surprise of a past client returning for several commercial real estate photography needs, one of which was the picturesque Bridgepoint Plaza in Austin. 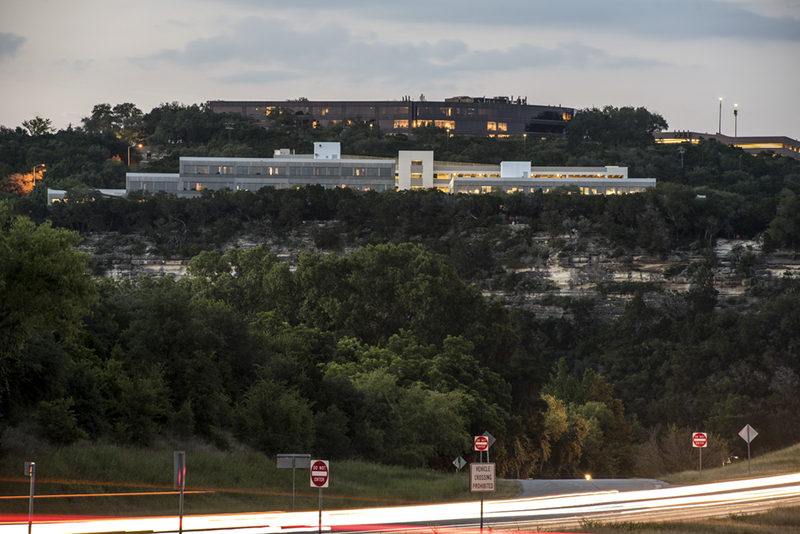 This large office complex sits in the Loop 360 area of west Austin, visible from the famous 360 Bridge overlook. 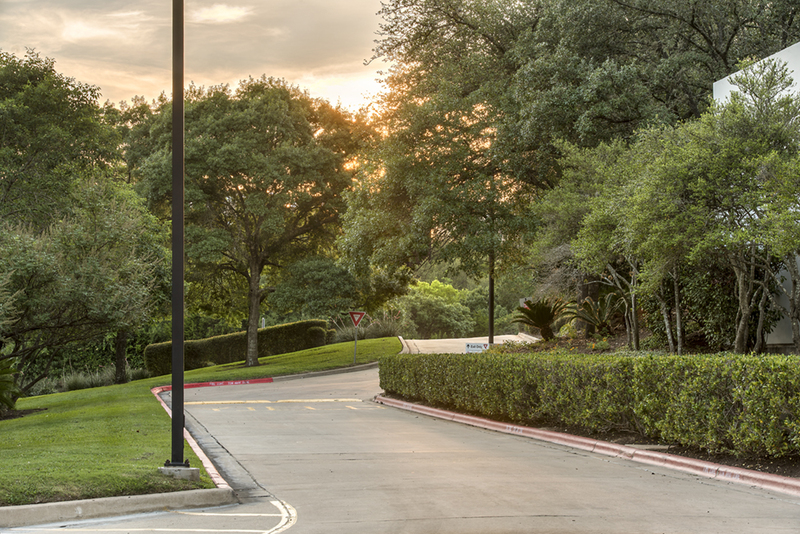 With such a large campus, I made sure to take some time to really explore the property before the shoot began. The trickiest part of getting to know the property was finding a good angle to get the twilight exterior below. I ended up pulling over on highway 360 for this vantage point, and using my Nikon 70-200 zoom lens on a tripod which rarely comes into play for architectural photography shoots. A view of Bridgepoint not from the 360 Bridge, rather from the highway itself. 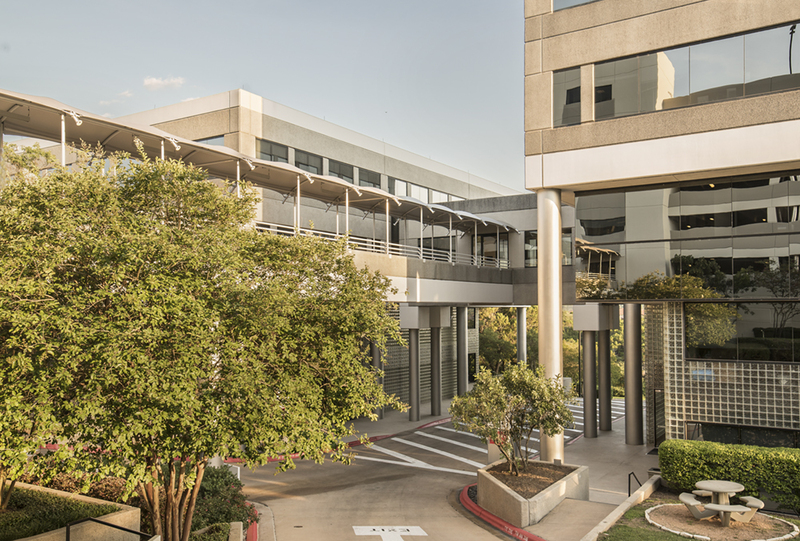 The first set of images I captured was out front of the building – I made haste with timing in terms of lighting and captured a few front exteriors. 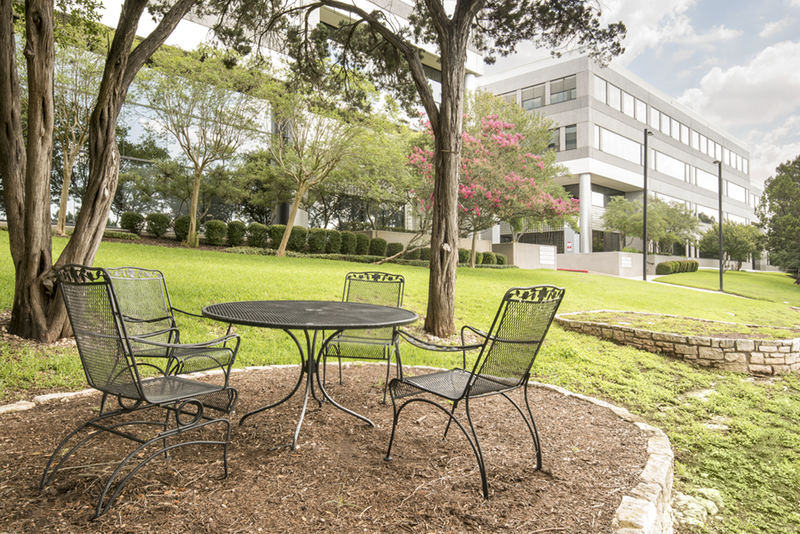 In the one below, I thought highlighting this cozy little common area with a table would be nice. 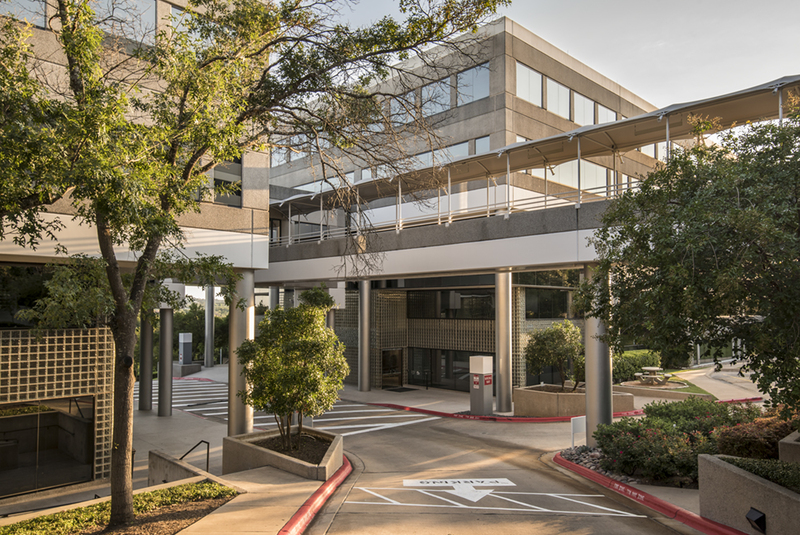 Any time I can provide a unique angle and showcase an amenity for a client, I take it – no matter what the size. More exteriors are to come, but I spent the most of the day on highlighted suites and lobbies (seen below). I loved the high vaulted ceilings in this lobby, as tricky as they proved to get lighting on them. Luckily I had a flash unit powerful enough to reach the ceiling here. 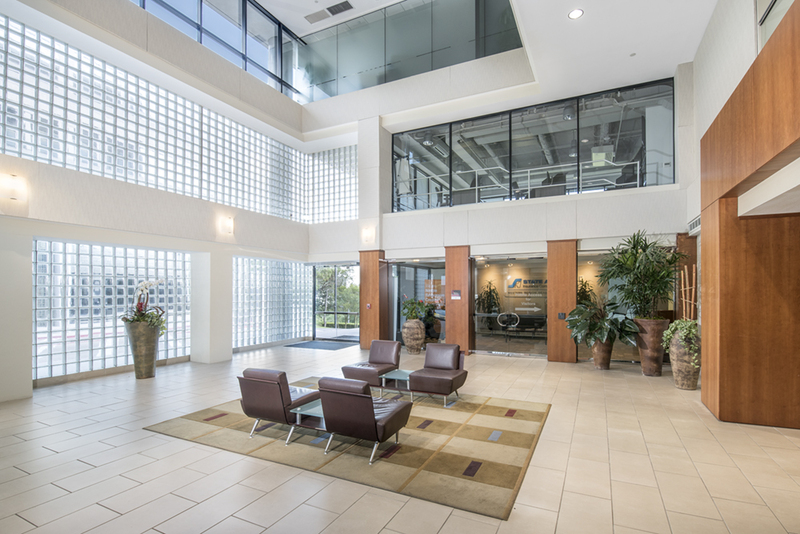 Due to its impressive interior, Brigham Resources was one of the most focused on suites. 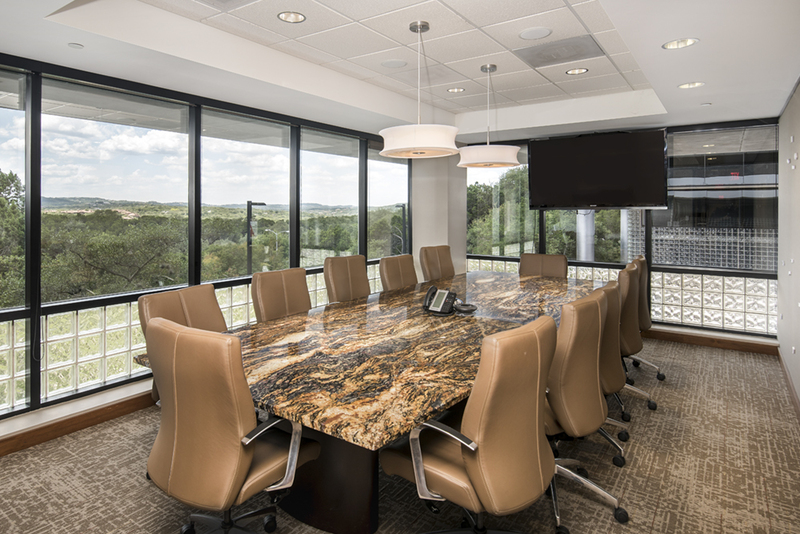 Below is Brigham’s main conference room, complete with a stunning view of west Austin’s Hill Country. 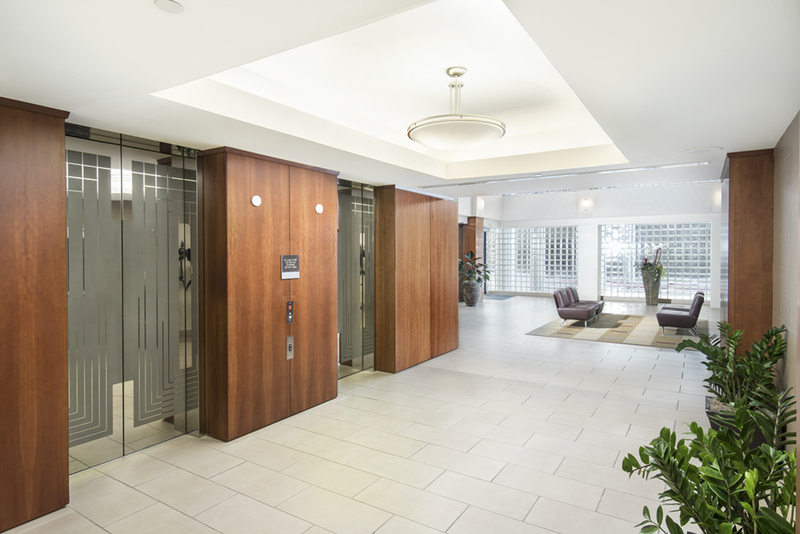 While I photographed several elevator banks and hallways throughout the property, this one near the lobby stood out to me. It took several exposures combined with flash to get the bright white look. It was worth it, as this image accurately represents the scene here. This was a large shoot, so I’ll skip many of the images and share with you few more, mainly exteriors taken at sunset/twilight. The image below was (not surprisingly) not used by the client in the end, which I figured. I liked this scene so much that I had to capture it anyway. Besides, I had plenty of time until true twilight to capture more images. 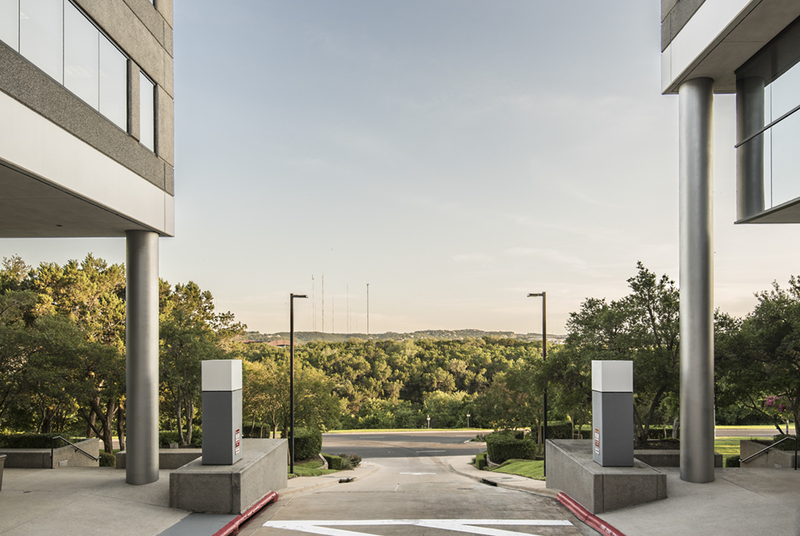 I was able to capture a nice elevated view of this area to show how the buildings connect. The other side of the same angle. The last one I’ll share was another one taken at sunset, during the golden hour. The symmetry play between the two buildings made for plenty of great opportunities which I used to my fullest advantage. Between the buildings, facing the hills. 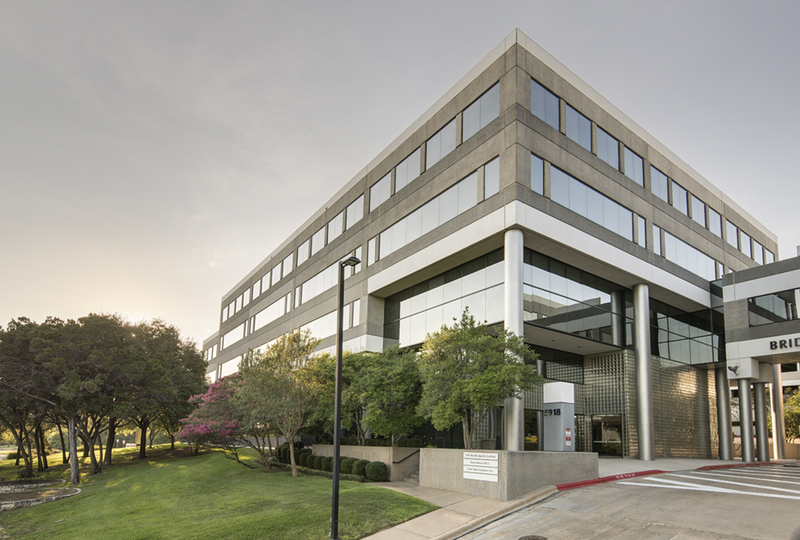 If you’re interested in hiring us for commercial office photography or otherwise, you can click here to reach out for a quote on services.